Once again it’s Halloween, the scary time of year when ghouls and goblins take over the public conscience. After the trick-or-treating takes place, many like to enjoy festive movies and television shows to celebrate, and this year the various networks are providing an ample amount of holiday programming. Here's a primer on several Halloween specials and selections that will be airing. All times are EST. 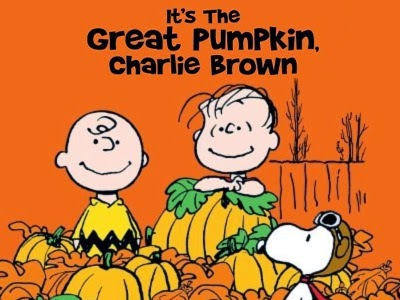 The fun starts tonight, 10/30, on ABC at 8 p.m. with the Emmy Award-nominated “It's the Great Pumpkin, Charlie Brown.” The 1966 animated classic features Linus, Lucy, Charlie, Sally and the whole Peanuts gang on their quest to encounter a mythical squash-like figure, despite cries from skeptics. FXX will be showing a 12-episode marathon of “The Simpsons” beloved ‘Treehouse of Horror’ stories starting at 6 p.m. The animation amusement continues on 10/31 on the Cartoon Network, with appropriately-themed episodes of Seth MacFarlane hits “The Cleveland Show,” “American Dad!” and “Family Guy” airing from 9 p.m. to midnight. For additional comedy, VH1 Classic is playing the 1997 “Halloween Special” episode of “Saturday Night Life,” presented by Wayne and Garth, at 6:30 p.m. If you’re seeking a more informative look at Halloween, tune in to the Travel Channel. 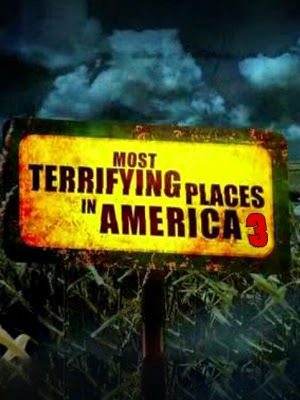 Starting in the morning at 11 a.m., specials such as “Halloween’s Most Extreme” and “Most Terrifying Places in America” will air throughout the early afternoon, providing viewers with a glance at frightening destinations. On the Cooking Channel at 8 p.m., the 2004 “Spooky Treats” episode of “Unwrapped” will be shown, where host Marc Summers will investigate candies and sweet delights. At 11 p.m. HISTORY will reveal “The Real Story of Halloween,” which covers the dark origins of the holiday and how it became what we know it to be in the present. But it simply wouldn’t be Halloween without horror movies, would it? Showtime Beyond starts the thrills and chills at 5:55 p.m. with 2011’s “Grave Encounters,” in which paranormal investigators search for ghosts in a psychiatric hospital. “The Last Exorcism Part II” airs next at 7:30 p.m., followed by torture flicks “Hostel” at 9 p.m. and “Saw II” at 10:35 p.m. If being scared isn't your thing, you can always switch it on over to Starz Comedy, where Mel Brooks’ 1995 movie “Dracula: Dead and Loving It” starts at 6:25 p.m. Seasonal satire “Shriek If You Know What I Did Last Friday the 13th” begins at 9:45 p.m. and “Snoop Dogg's Hood of Horror” closes the night at 11:15 p.m. The options are out there for all types of seasonal programming, no matter what your interest. Happy Halloween!